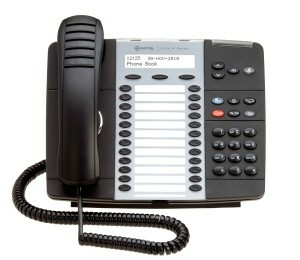 The dual-mode 5324 IP Phone is a feature-rich, multi-line IP speakerphone with full duplex handsfree operation. It is geared toward users who must change their telephone feature set to match their changing needs. This includes managers, professionals and teleworkers as well as contact center/help-desk agents. With it, users get superb call handling as well as user-programmable access to advanced voice communications, IP-based applications and services. The 5324 IP Phone supports a full lineup of IP peripherals such as programmable key modules (PKMs), conference units and line interface modules, for even greater access to IP applications right at the user’s desktop. The 5324 IP Phone is specifically designed for communications-intensive companies that require a converged IP infrastructure to deliver productivity and customer-enhancing applications and services to the user’s desktop. This includes unified communications, speech recognition, PC integration, contact center, and remote voice and data applications. An enterprise-class phone, the 5324 IP Phone has a white, 40-character backlit, graphics display, 24 programmable keys, eight telephony function keys, and three context-sensitive softkeys for feature customization. When used with Mitel Unified Communicator® (UC) Express or Mitel Unified Communicator (UC) Advanced, the 5324 IP Phone becomes a powerful communications tool that helps customers streamline communications between people and organizations. This leads to improved productivity, enhanced customer service, reduced costs, and ultimately improved business process integration.